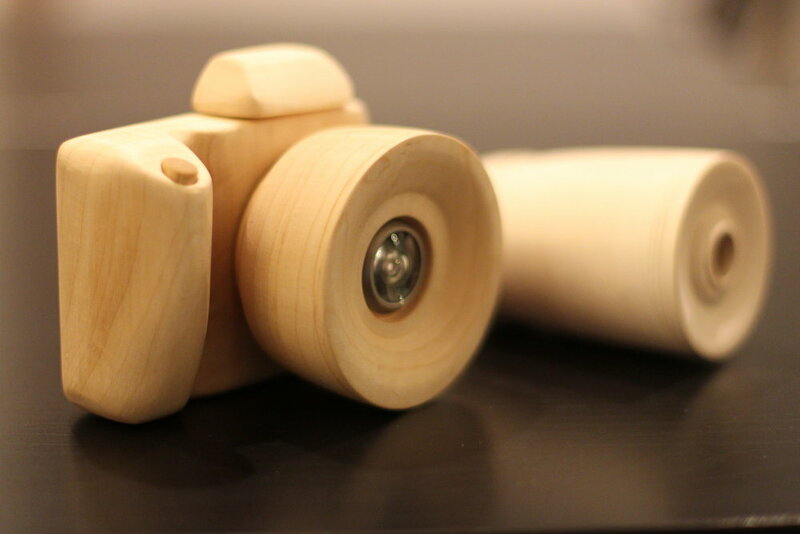 This hand-crafted maple camera toy encourages visual interaction with the world in an exploratory way. 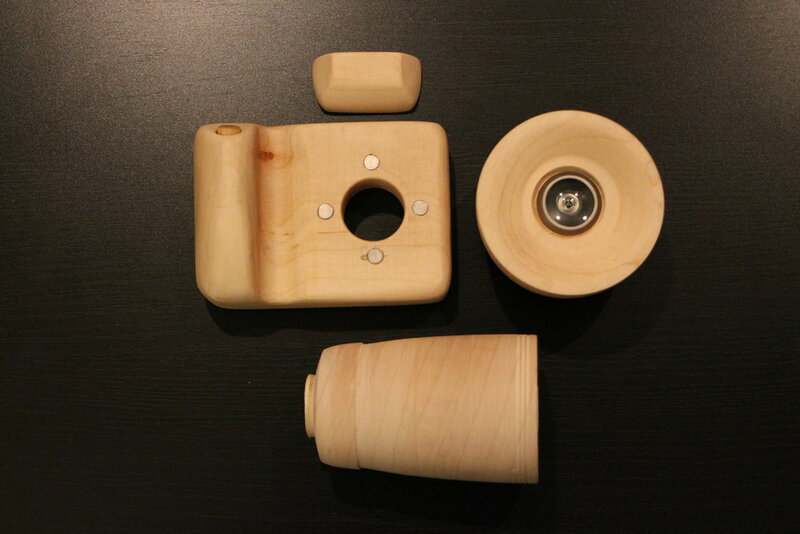 Each of the interchangeable accessories including buttons, knobs, and lathe-turned lenses connect through magnets embedded in each part. The repelling polarities of the magnets embedded in the shutter button gives it a gravity defying springiness and the the act of changing lenses engages the tactile senses as a rotation pops the lens out, and another rotation attracts the lens to the body. Looking through the various lenses allows the world to be seen from a different perspective through the use of color filters, a Lichtenstein-like grid, a peephole lens, and a kaleidoscope. Several variant lenses were sketched and quickly prototyped out of inexpensive materials to determine form and scale. I also experimented with knurling and other textures like cork but determined that they would distract from the simple minimalist aesthetic I was aiming for. The final prototype was tested by a 4 and 8 year old and had them play with the toy. They enjoyed the magnetic aspect of swapping out the lenses, turning the knobs, and changing out the flash. It seemed to appeal to either younger children or adults for its form but older children desired the ability to take real photos. It's likely that a future version could have a specialized lens that could have display digital "filters" in real-time.